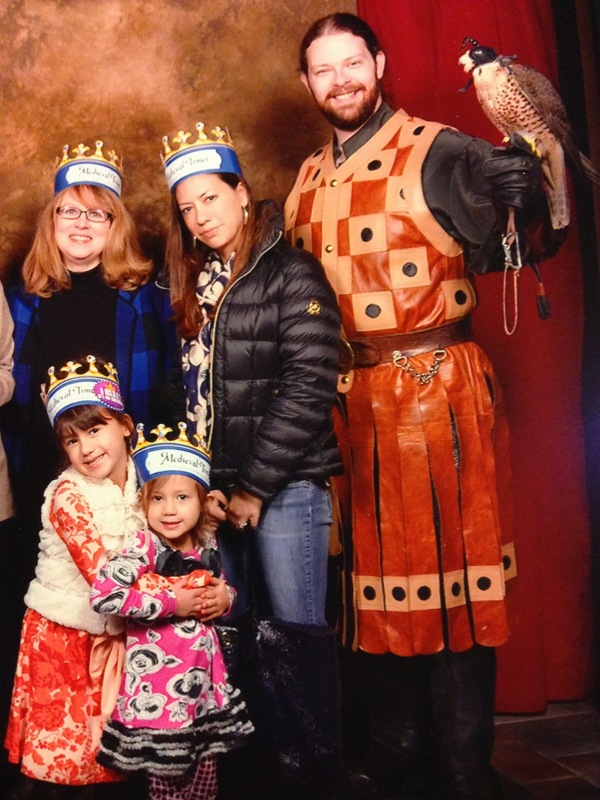 This weekend my brother organized a Medieval Times adventure for our family in celebration of our nieces 6th and 4th birthday. For years I've passed the Medieval Times castle in Dallas, but I've just never walked inside. My favorite part was the white horses performing at the first of the show. (I want a white horse.) Overall it was fun to see with our group; however, it reminded me of the circus in that Medieval Times never missed a chance to try and take your money. It was a money grab. They grabbed a lot of my father's money! It was great to make memories. We all thought our knight (the blue knight) was a hottie, even though he didn't win the tournament.